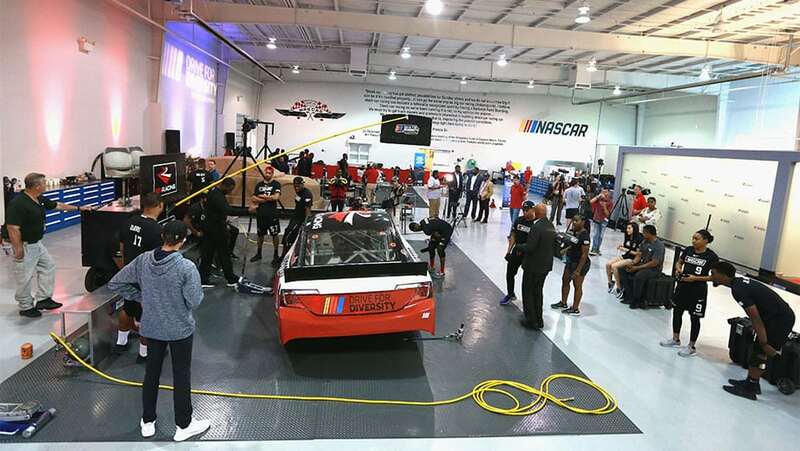 DAYTONA BEACH, Fla. — Following a national talent search and annual combine event in May, NASCAR and Rev Racing today announced the latest participants in the NASCAR Drive for Diversity Pit Crew Development Program. 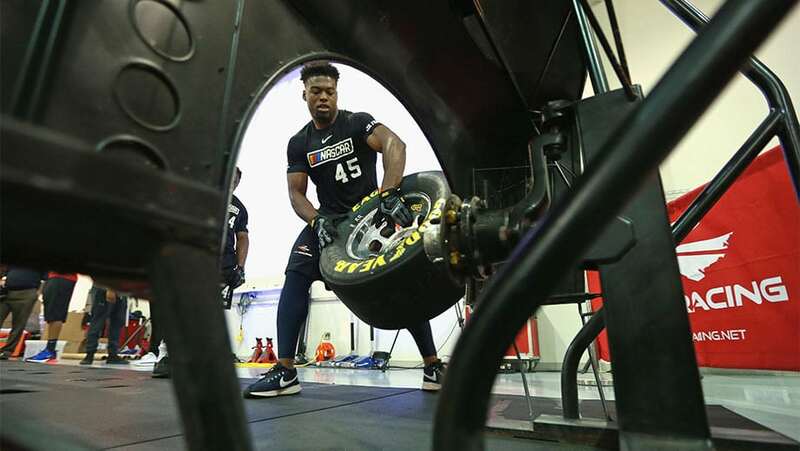 Seven former collegiate athletes were selected based on strong, individual performances during a series of crew member assessments and strength and agility drills at the NASCAR Drive for Diversity Pit Crew Combine in Concord, N.C. on May 25. NASCAR Drive for Diversity provides opportunities for multicultural and female athletes to “go pro” in NASCAR following college careers in football, basketball, track and field, and other sports. This year‘s participants will relocate to North Carolina and train as tire-changers, carriers and jackmen with Rev Racing with hopes of joining more than 50 NASCAR Drive for Diversity alumni working in the sport‘s national series. Brandon Banks is among the new NASCAR Drive for Diversity pit crew participants. Banks starred as a defensive lineman at the University of North Carolina at Charlotte and was part of the Washington Redskins‘ active roster in 2017. A pair of former North Carolina A&T State University student-athletes, Joshua Patrick and Keiston France, were also selected for the pit crew program. Patrick played football for the Aggies, while France was a member of the school‘s tennis team. In September, the seven athletes selected to the program will begin 12 months of pit crew training with Rev Racing. Since the pit crew program‘s inception, more than 90 athletes have participated in NASCAR Drive for Diversity with 25 currently working at the Monster Energy NASCAR Cup Series™ level. In February, Derrell Edwards became the first NASCAR Drive for Diversity pit crew member to be part of a DAYTONA 500 championship team when driver Austin Dillon raced to Victory Lane at Daytona International Speedway. Former Norfolk State University women‘s basketball player Brehanna Daniels made her debut in the Monster Energy NASCAR Cup Series alongside NASCAR Drive for Diversity tire-changer Breanna O‘Leary at Daytona International Speedway in July. Daniels, who joined the diversity program in 2016, is believed to be the first female African-American crew member to compete in the sport‘s top series.